On a jaunt through the countryside, we stopped by Peninsula, Ohio known these days at The North Pole. 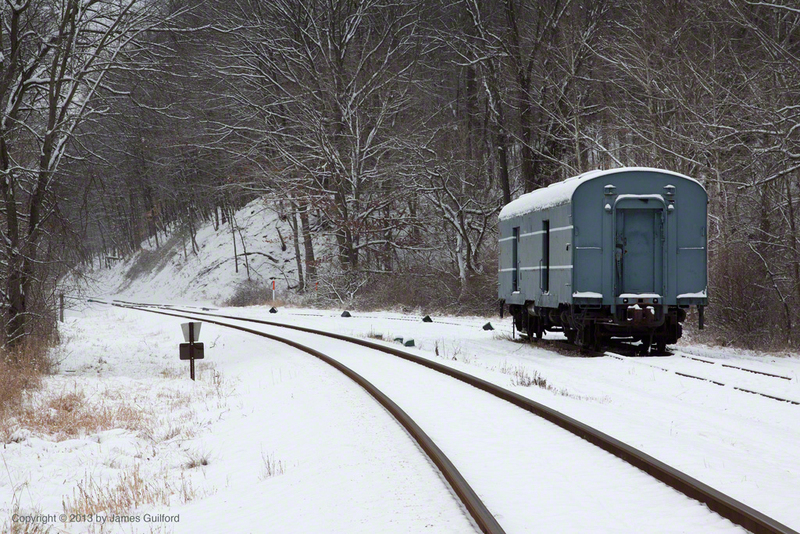 Peninsula is the center of the Cuyahoga Valley Scenic Railroad’s annual Polar Express excursion rides. 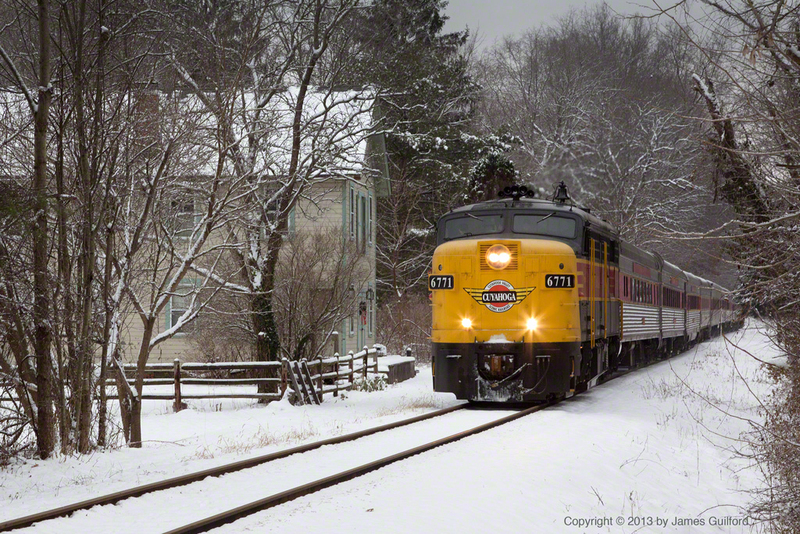 Children from all around, many wearing pajamas, ride the train through the snowy countryside entertained both on the train and at trackside by costumed staff. Buildings and objects near the line are decorated and renamed, recalling scenes from Chris Van Allsburg’s wonderful book. 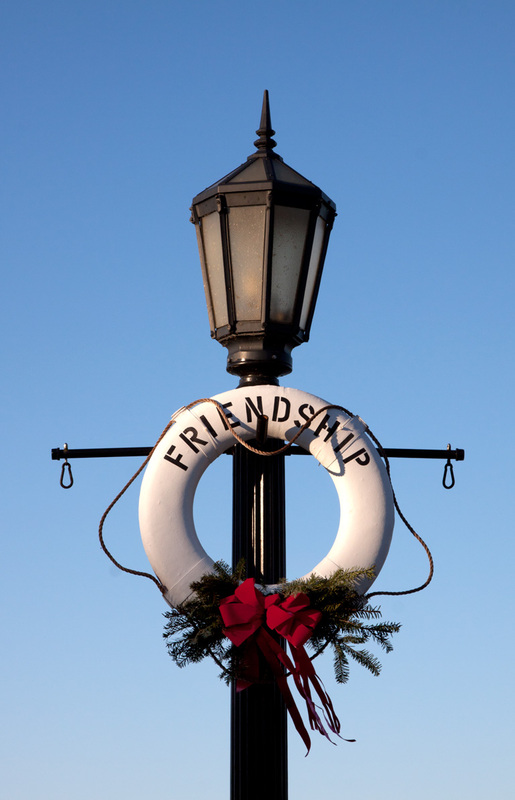 At the “North Pole” train station, the tracks are lined by wreath-decorated antique-style streetlights. The whole scene is pretty even by day, and said to be enchanting by night. While steam enthusiasts may be disappointed that a 2-8-4 (Berkshire) locomotive isn’t heading up the train, it’s a wonderful time nonetheless. An afternoon outing to Vermilion, Ohio was quiet and pleasant. The weather was gorgeous (if a bit chilly), the town was quiet, and the stores and artisans were warm and welcoming. 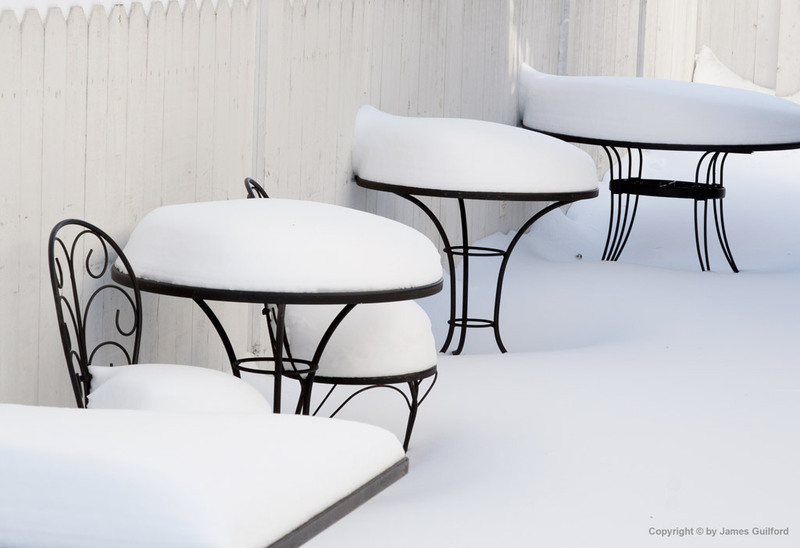 Snow covers the tables and chairs of a bistro in Hudson, Ohio. Sitting in the Heart Center's Au Bon Pain 24-hour restaurant for a late dinner the other night, I was aware of the Christmas holiday background music playing. I found it both ironical and darkly amusing that just before leaving I heard someone singing, All I Want for Christmas is Your Heart.